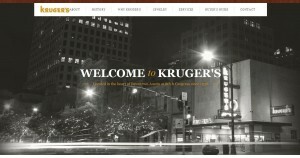 Kruger’s Jewelers address, phone, website, hours of operation, and more. Kruger’s is staffed by the greatest retail associates in Austin, plain and simple. Several of these folks have been in the jewelry industry for more than 30 years. Above all, they are customer-centric, meaning they know it’s about the customer, not the sale. You will experience patient, attentive-without-being-pushy assistance that will guide you to the perfect piece of jewelry at or below your budget. If you can’t find what you want in the store, we can source your request from a number of vendors. Kruger’s also boasts two very fine, highly skilled jewelers who are able to handle just about any custom design or repair you can imagine. We promise that your Kruger’s experience will be the most pleasurable retail experience you will ever have. Kruger’s has been around for more than a hundred years. In that time we’ve discovered a philosophy that really works: we put ourselves in our customers’ shoes. Owner David Kruger, his daughter Rachel and the rest of the Kruger’s Jewelers’ staff — several boasting tenures of over 20 years with the store — understand the significance of shopping for high quality diamond jewelry. It’s not something one does every day, or, in many cases, more than once or twice in a lifetime. We have great respect for the process and are honored to be a part of it. But what about the goods? Kruger’s offers the largest selection of certified loose diamonds in Austin. We also carry the most exclusive collection of non-branded bridal mountings in town. We source from vendors who don’t sell to other local jewelers, making our stock particularly unique. If you don’t see what you’re looking for, we will be happy to create a custom piece for you. Kruger’s specializes in bridal jewelry because we absolutely love helping couples find the perfect symbols of their love. Our staff spends a lot of time providing you with detailed information about diamonds and settings whether you purchase from us or not. We are also keenly aware of your budget. Need an engagement ring for $400? No problem. Want to stun her with a $40,000 thing of beauty? We can do that, too. We are family-owned, local and all about making customers. And that means anyone who walks through the door, regardless of whether money changes hands or not. We want you to have the best retail experience of your life and turn around and tell everyone you know about it. Stop by to get your watch fixed, shop for something for your mom, or browse our selection of wedding bands to see how they compare to others you’ve found. We look forward to seeing you.